I have known Gonzalo Fernandez for over 20 years as both a colleague, client and friend. His background is impeccable. He has (i) worked at one of the most respected international law firms in the world at Baker & McKenzie; (ii) prosecuted on behalf of the citizens of the City of St. Louis, (iii) worked in one of the most sophisticated corporate legal departments in the country at Anheuser-Busch; and (iv) presently litigates on behalf civil clients at Devereaux, Stokes, et. al. Mr. Fernandez has an excellent understanding of both the civil and criminal aspects of our judicial system. 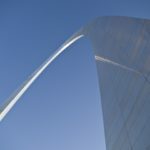 I do not hesitate to refer clients to him because I know they will receive top notch legal advice and service from one of the best lawyers in St. Louis. I am proud to have been a colleague, client and friend.